Our epKids Ministry meets on Sunday mornings at 9:30 during Worship. We provide a great place and experience for children to grow to love the church, worship with their friends, and learn about the God who loves them so much! Our leaders are background checked and our children’s area is being watched over by our EaglePoint campus security team. Wednesday Nights are a fun time for our children. We use the Orange 252 Curriculum that focuses our entire children’s group (from bed-babies through pre-teens) on the same lesson. The stages of development in children is different depending on their age and we see value in making the Word of God relevant and understandable for each of those stages. Orange 252 helps us do that! Come check out our epKids Wednesdays! We start each week at 6:30 and it normally lasts for an hour. We would be excited to have your children involved! We have 7 Teaching Teams in our epKids Ministry! They rotate each week. This gives our leaders an opportunity to worship with the whole church while still serving. The rotation also allows our children to have a large team of adults that they get to know, receive support and encouragement from, and see how God works in many different lives! epKids Ministry is purposeful in teaching our kids to serve others. We take our children to the nursing homes at Christmas to sing carols to the residents and love on them. We also take valentines to them in February. We want to start young teaching them that God loves us and we should love others! We have collected can goods for our ministry “For the City,” held special meetings for our mothers called “Moms-giving,” and we do a “Back to School Mom’s Prayer Potluck". As a Campus of First Baptist Church of Jacksonville, there are many things our campuses team up together to accomplish. One of the biggest is our VBS! We have leaders from both campuses that lead small groups of children, preschool through 5th grade, to know more about Jesus. Our theme changes each year but our purpose remains the same! 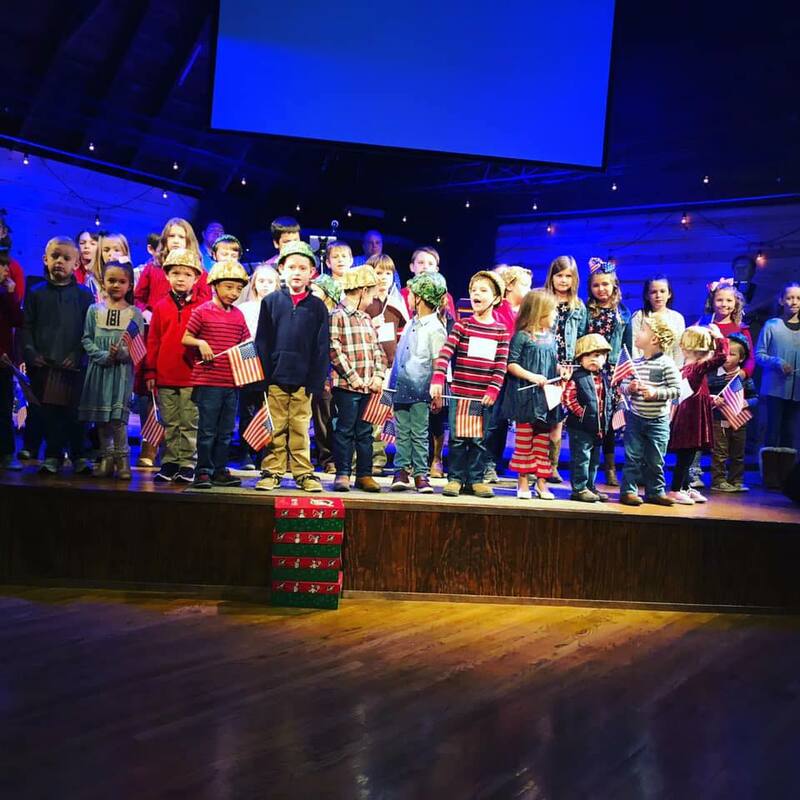 Several times a year, especially Christmas and military holidays, we take our children into the main Worship center to sing. We have taught them some sign language, learned motions to songs, and even sang alongside our Worship Band. Our children and our adults are always excited to see them learning to sing to our Savior! Childhood cancer is a horrible occurrence in the lives of children and their families. We feel that deeply at EaglePoint. We have several families that have and are prayerfully walking through that valley with their children. We have loved celebrating victories with them and are broken hearted when setbacks or other cases arise. In celebration of the hearts of these fighters, we GO GOLD for them each September. We have a special time in our service to invite these children and their families to come for prayer and encouragement.